Amdom Gebreselassie: Speaking Raw Truth to TPLF “Chased Out of Power” in Ethiopia – Satenaw Ethioopian News & Breaking News: Your right to know! Author’s Note: Below is a translation of Amdom Gebreselassie’s remarks at Mekele University and subsequent interview comments. I have translated Amdom’s remarks because his defiant expression of truth to those “chased out of power”, as he calls it, is the ultimate manifestation of courage under fire. Amdom graduated in history from Addis Ababa University. Over the past 10 years since his Arena political party has been in existence, he has been jailed over 30 times by the TPLF regime. He has been hospitalized on a number of occasions having suffered severe beatings by TPLF goons. Amdom is known for his extraordinary courage and as a defiant freedom fighter in Tigray. He has confronted the TPLF in public and often demanded that they stop trashing their own constitution. It is heartbreaking that so many in Amdom’s shoes have chosen the path of silent cowardice afraid of the TPLF Beast with feet of clay. Amdom Gebreselassie has conquered fear of the TPLF by repeatedly showing defiant courage under fire, under beatings and under constant political persecution. I trust others will adopt his profile in courage and stand up to the TPLF armed with the truth. Can the Tigrean Peoples Liberation Front (TPLF) handle the truth? No one in power was spared my preachments and sermons on truth. Not even President Barack Obama. Not even President Donald Trump. Not even the redoubtable late U.S. Supreme Court Justice Antonin Scalia. Not even the Ethiopian opposition out of power. In fact, my website sports the tag line, “Speaking Truth to Power”. But the object of my impassioned truth-fury was the leadership of the Tigrean People’s Liberation Front (TPLF) which I often referred to as the T-TPLF, the first “T” signifying “thugtatorship”, a word I coined especially for them in 2011. Now “chased out of power”, the TPLF is facing another truth-teller in their own backyard. The TPLF is an organization currently listed on the Global Terrorism Database. Documented acts of terrorism by the TPLF include armed robberies, assaults, hostage taking and kidnapping of foreign nationals and journalists and local leaders, hijacking of truck convoys, extortion of business owners and merchants, nongovernmental organizations, local leaders and private citizens and intimidation of religious leaders and journalists. The last recorded act of terrorism by the TPLF was committed on August 26, 2016. Since 1991, the TPLF has committed untold crimes against humanity in Ethiopia. Through its massive corruption schemes, the TPLF has bankrupted Ethiopia. For 27 years, the TPLF had its boots pressed firmly on the necks of the Ethiopian people. When H.E. Prime Minster Dr. Abiy Ahmed took office on April 2, 2018, the people of Ethiopia began to breathe for the first time in 27 years. Last week, I was stunned to hear Amdom Gebreselassie, the spokesperson for Arena Party in Ethiopia, preaching and teaching truth to the TPLF leadership at a Mekele University conference. What is so stunning about Amdom’s statement is not simply that he spoke the raw truth to the TPLF. That he did, as he always has, without a doubt. In these heady times, Amdom also put to shame so many cowardly and servile TPLF apologists who have been defending and making excuses for the TPLF’s corrupt, dictatorial and oppressive rule in Ethiopia over the past 27 years. In his conference remarks, Amdom whipsawed the TPLF with the truth they never want to hear. In fact, the truth he was preaching to them was so bitter, they tried to drown out his conference remarks in disruptive hooliganish applause. In a few minutes of remarks, Amdom completely discredited the self-serving TPLF mythology of persecution. Amdom discredited the current fashionable narrative of the TPLF and its apologists that the changes taking place in Ethiopia under the leadership of H.E. Prime Minster Dr. Abiy Ahmed amount to a systematic program of Tigrean persecution. Amdom argued the whole TPLF spat with the federal government is an inter party power struggle within the Ethiopian People’s Revolutionary Democratic Front (EPRDF). Amdom said there has never been a free and fair election or democracy under TPLF rule in Tigray or anywhere else in Ethiopia. Amdom said Tigray is the TPLF’s open-air island prison. Amdom said the TPLF is pumping out disinformation of an impending destruction of Tigray to save itself from facing justice for its crimes and corruption over the past 27 years. Amdom said the TPLF/EPRDF leaders are not only ignorant of their constitution, they also do not even know their organizational bylaws. Below are my translations of Amdom Gebreselassie’s recent remarks at Mekele University and related media comments. Alright. Thank you. My name is Amdom Gebreselassie. I am with Arena Party. Mekele University should be commended for organizing this conference. On the issues Ato Bereket and others raised, I wish to take five minutes and share my views. Does EPRDF [Ethiopian People’s Revolutionary Democratic Front] exist or not? EPRDF does exist. But a distinction must be made between the old and new EPRDF. Now, the new EPRDF has done a certain number of good things. It has released political prisoners. It has allowed opposition parties to return to the country. It is trying to expand the political space. The old EPRDF [controlled by the TPLF] did not do this. The old EPRDF jailed people. It exclusively used the political space for itself. [Let’s note] that numerous political prisoners have been released [throughout Ethiopia]. But because of the TPLF in Tigray, political prisoners have not been released. Nothing [in Tigray] has changed from the past. They [TPLF] are making it their playground. Therefore, the [old] dictatorial TPLF/EPRDF is in Tigray. It has not been able to bring peace. It has numerous problems. Concerning the fact that the new EPRDF sends confusing messages, it is true. It does. But so did the old EPRDF. For instance, the new EPRDF has said, “daylight hyenas”. The old one used to say, “terrorists” and many other similar things. There were documentaries [about high profile criminal suspects] before [under TPLF/EPRDF]; today we have them too. So, the new EPRDF is the same as the old one in this regard. After the renaissance of 1993 [Ethiopian calendar], it has been said that not much work has been done. So, we have that legacy of EPRDF. It is the same. It is defamation of reputation. Ato Bereket [former TPLF “communication minister”) says the current [PM Abiy] government is a failed regime. For instance, if the election [scheduled for May 2020] is postponed, we will have a government that has no public legitimacy. Has this country known free and fair elections? Never. [In the past] election ballot boxes were being robbed. They even said they won the election by 100 percent. There has never been a free and fair election [in Ethiopia]. TPLF/EPRDF remained in power by using force. It was not a government of any legitimacy. [Ato Bereket] You are one of the causes of (ፅንፈኝነት ) (extremism) in Tigray. Tigrean supremacy. Ato Sebhat [Nega] you said Tigray is [getting lion’s share] of development with Ato Sebhat, especially in Oromia and Amhara. Tigrean youths are anguished about that. Back then, there were certain things that could be said to have been well done. When they were disrupted, the Tigrean youth were anguished. You are one of those who created extremism (ፅንፈኝነት). The other thing that looks like extremism in Tigray is the assertion that TPLF and people of Tigray are the same. When TPLF was chased out of Addis Ababa, you started agitating the people as if the people of Tigray are going to be destroyed. As if Tigray is going to be destroyed. As if it is the end of Tigray. As if Tigray is surrounded by enemies. Now peace has come from the side of Eritrea. Minimally, there is a people to people relationship [between Eritrea and Tigray]. So, you have been exaggerating stories about the destruction of the people of Tigray. You are spreading fear. That is not right. Regarding respect for the constitution, over the past decades, the constitution was being trashed. There was political interference in the courts. Now, the TPLF/EPRDF is not only ignorant of the constitution, it does not even know its [organizational] bylaws. It does not know its own organizational bylaws. There is nothing different here. The only difference is that the TPLF leadership that is in Tigray now after being chased out of power. Just because TPLF is kicked out of federal power, it is being talked about like a new thing. After the TPLF was chased out, it began talking about factionalism, etc. All this noise is coming because [accountability] it is happening to them. Over the past 27 years, there has been no democracy nor was there respect for the constitution [in Ethiopia]. [TPLF leaders] keep talking about TPLF and the people of Tigray as if they are one and the same. How is it possible they could be the same? The poor [Tigreans] have nothing to eat or drink. When [TPLF leaders] are stealing billions of dollars, how can it be said the TPLF and the people of Tigray are the same? Now, the people of Tigray are in a state of poverty, they are going into exile. TPLF cadres continue clapping loudly to drown out Amdom’s remarks. Let me wrap up my thoughts. I am under the impression that this is a Mekele University conference not a TPLF festival. Amdom has given various media interviews following his remarks at the Mekele conference. In an interview with Ghion Magazine, Amdom explains why the TPLF leaders and their goons interrupted his remarks and what he really wanted to say when he was rudely interrupted. The conference was organized and by the TPLF kilil [regional] government and Mekele university. The conference was about current affairs [in Ethiopia] and the situation in Northeast Africa. Three Arena Party members were invited to attend [and I was one of these who attended]. The TPLF is used to disrupting meetings. In the past, they used to send their cadres [goons]. After they were kicked out of power, they are doing the disrupting themselves. 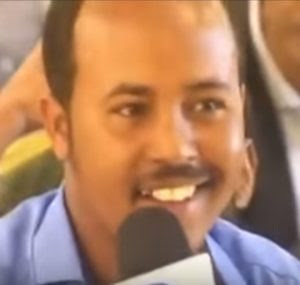 When I got interrupted, I was in the process of talking about how the TPLF and the people of Tigray are not the same. These people [TPLF leaders] were in enriching themselves for years while the people of Tigray were starving and going into exile. There are people born in Tigray who cannot even live and work [in Tigray], yet these officials are heard talking about the TPLF and the people of Tigray being the same. It is said that EFFORT (Fund for Rehabilitation of Tigray) belongs to the people. But the people who benefit are officials of the TPLF. When is this organization going to be returned to the people? For how long is it going to remain the private property of these officials? It has not been audited and the people have no idea of its profits and losses. When is this organization going to be transferred back to public ownership? When is accountability going to be made for improper activities [in that organization]? This was what I wanted to present at the conference [when I was interrupted with the loud clappings]. This issue specifically points to Sebhat Nega who has been in charge of EFFORT for years. When the issue was heading in the direction of Sebhat Nega, they quickly began their disruption. Because [the TPLF] they do not have interest in listening to alternative ideas and wanted to talk about only their own, they are saying, “Ethiopia is disintegrating. EPRDF has disintegrated.” They say that to control the people. Those who clapped and stopped me from speaking are mostly [TPLF] cadres. They know me. I know them. They may not like the ideas I expressed but they should not be able to suppress expression of my opinion. Just like any participant at the conference, I expressed myself. [What they did to stop me] was not something that is done by little cadres. It is not. These cadres do the (dirty work) of the TPLF. There is suppression of Arena (party) members [by the TPLF]. All political prisoners are released throughout the country but Tigrean political prisoners are still not released. Tigray has become an island. She has become an isolated island of political prisoners. We can say there is no change in Tigray. Some in the mainstream society following TPLF propaganda which says TPLF and Arena are together. This has created confusion. There’s no way Arena and TPLF can be together. Revolutionary democracy is based on suppression of the public voice. It is the enemy of development and everything. We (TPLF and Arena) cannot be the same. The differences between the TPLF and the federal government is based on a struggle for power. TPLF lost her power. She wants to get it back. She is very afraid the same thing that happened in Somalia and Southern region will happen to her. They (TPLF) are being jailed for corruption. They are trying to escape accountability and avoid jail. They are making high-level effort [to escape justice]. The (TPLF) elected PM Abiy with 45 votes. They came here (Tigray) and began their opposition. The corruption prosecution [of PM Abiy’s administration] has created great anxiety among TPLF leaders. There are those who are arrested and others not arrested. That’s why they are saying, “TPLF is being singled out for prosecution” in an attempt to provoke opposition [to PM Abiy’s government] among Tigreans. This is an inter party power struggle between the TPLF and the others. We are struggling to prevent unnecessary harm from happening to others. We do not want the TPLF and the federal government to get involved in war with each other. We want to prevent civil war and things that undermine peace in our country. We are working to stabilize things and get the two sides to enter into negotiations so they can solve their problems amongst themselves and not put it on the people. [Regarding demonstrations in Tigray], there are those who say the demonstrations are popularly initiated. They [have the demonstrations] to prove the TPLF and the people of Tigray are the same. They [TPLF] is trying to use the people. It is the TPLF that called the demonstrations whether by calling out people from their homes, their own members or using the media and other different ways. It is the TPLF that coordinated the demonstrations. It has done it as a kilil government and as an organization. The TPLF and extremist living abroad are targeting the people of Tigray. These are people who hate and have an evil view of the Tigrean people. It is the TPLF and others who say the demonstrations are popular and not coordinated by the TPLF. They are the ones who are pushing this idea. The conference was organized to discuss current issues in Ethiopian politics. Among the presenters were Bereket Simon and two professors from Mekele University. Many ideas were raised at the conference. I shared my ideas too. Getachew Reda, Asmelash Woldeselassie and others were creating disturbances. They organized those who were heckling me and preventing me from finishing my thoughts. What I learned was that TPLF is an organization that will never change. TPLF leaders will never get over their dictatorial style until the end of their days. That is what I learned. We used to dismiss such heckling as the work of minor cadres but not so; the top leadership does it too. I don’t know how they expect others to respect their constitution which they themselves never respected. Regarding the Mekele Conference, there has never been such an event but it does not do much if they don’t invite capable people and allow cadres disrupt. Amdom Gebreselassie thinks for himself and aloud. Amdom showed true courage at the Mekele University conference when he calmly told TPLF leaders to their faces that they are thieves and crooks who will not bat an eye to sacrifice the people of Tigray for their personal gain and interest. For years, I have been saying the same thing in my weekly commentaries. “Only cowards hide behind silence”, said Paul Coelho. The apologist and defenders of the TPLF at least speak up to humanize a monster. It is the majority of those who watch the crimes and corruption of the TPLF silently in the shadows who should be ashamed of themselves. 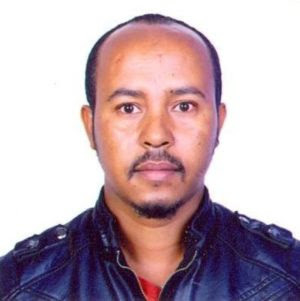 When a courageous individual like Amdom stands up and speaks the truth about the TPLF, he casts a bright light on those hiding silently in the shadows. The silent majority can run and hide in the shadows but they cannot escape the truth and the light. Those who continue to practice cowardice and silence in the face of TPLF oppression of Tigray are not neutral. I am sure there are thousands of young people in Tigray who feel and think like Amdom. But they have yet to muster the courage to speak up and tell the truth about the TPLF in public. My personal view is that the young people of Tigray are torn between the daily drumbeat of hate generated by the TPLF and their dreams of an inclusive, ethnic-neutral, just and fair Ethiopia. I stand with the young people of Tigray today in their critical hour of need just as I have stood with all young people (Cheetahs) in Ethiopia over the past 13 years. The young people of Tigray have so much to lose under TPLF rule. The young people of Tigray have so much to gain by locking arms with their Ethiopian brothers and sisters and fighting for a better collective future. All young people in Ethiopia have their work cut out for them. They must work together to knock down the walls of ethnic hate and religious division and build the New Ethiopia on a solid foundation of the rule of law, equality and justice for all. For 13 years I have cursed the darkness of the TPLF that fell upon Ethiopia. I am happy to see today the flicker of candle light in a young man that can guide Tigrean youth generation to a safe, secure and prosperous future. I will offer one of my endless prophesies to the TPLF. Soon young people like Amdom will rise and surge throughout Tigray. Just like the young people in Oromia, Amhara and other regions. Regardless, so long as there are truth tellers like Amdom Gebreselassie, the TPLF’s (the LF stands for Lie Factory) destiny shall be the trash heap of history. My respect and admiration for Amdom Gebreselassie!